Left to right: Nike Tennis Classics, £65 | adidas Originals Stan Smith CF, £67 | adidas Originals Stan Smith II, £67 | Nike Tennis Classics, £65. Nike and adidas have released some new-season offerings, and I'm a big fan. 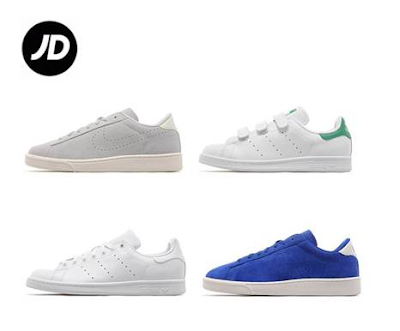 Shop all styles above at JD Sports here.